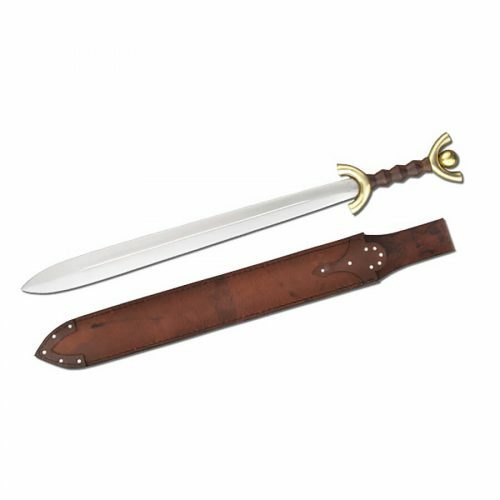 Shadow Cutlery has reproduced the Barbarian Short Sword of the North in this Re-enactment version. 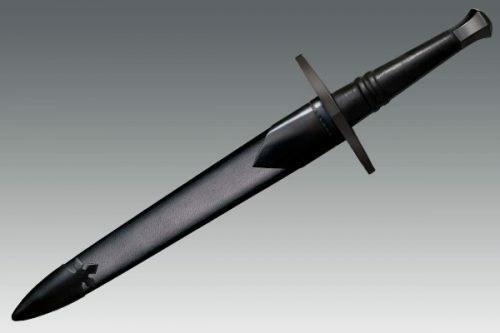 It’s not clear how the barbarians came to acquire this short sword but the most common story is they met up with a group of crusaders somewhere in the northern part of Europe. The meeting did not go well for the crusaders. The short sword has since been passed down from Barbarian King to Barbarian King until it was lost to history hundreds of years ago. 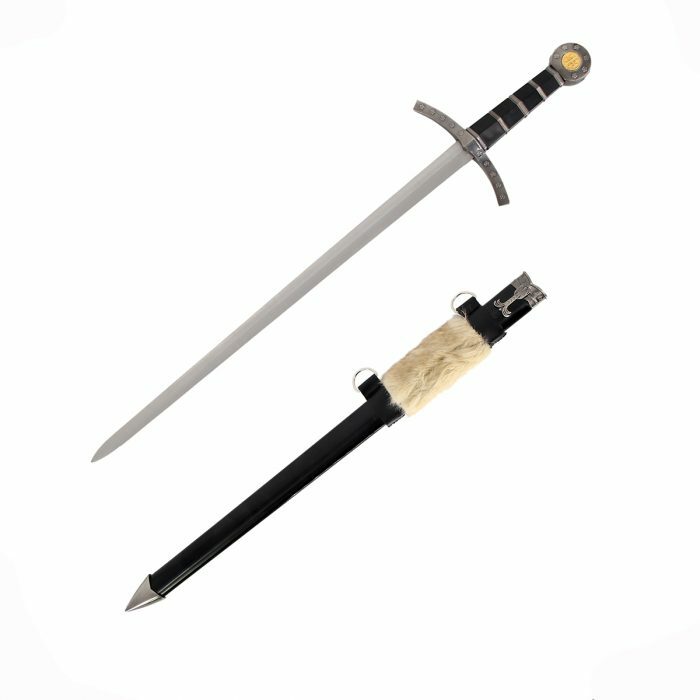 Shadow Cutlery has reproduced the Barbarian Short Sword of the North in this Re-enactment version. A fur lined scabbard accompanies this sword, perfect for renaissance festivals and cos-play events.